How to compare consequtive years on the map? What is the best way to quickly compare your results on a map between consecutive years? Check the Choose data range option that allows you the quickly switch between various options. If you already have the data for all the map shapes, you can put them in the Data sheet in J:S columns diverging by e.g. the year. Then go to data the Map sheet and click Choose data range option on Filled map group. PreviousPrevious post:How to enlarge detailed parts of the map? 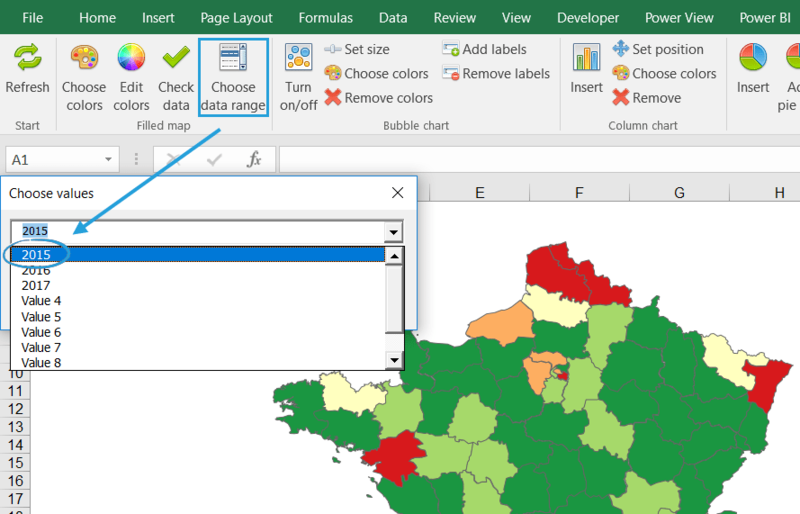 Example for Excel Map FranceNextNext post:How to show 2 measures on the map? Hi! I’m Bartek. On this blog I have a single goal: to teach you how to see and understand numbers and share them with other using data visualisation – charts and dashboards. How to create a statistics map for Europe NUTS levels 0-1-2-3 with Excel NUTS Map? Create your custom filled map (choropleth map) for regions, warehouse, factory, process etc. How to design a flow map for logistics with Excel Map? How to change the bubble shape into a logo? 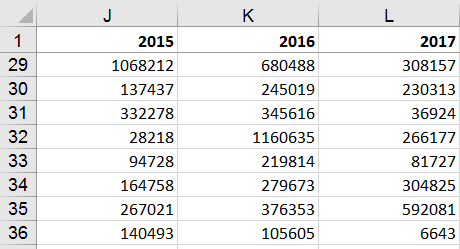 How to geocode customer addresses and show them on an Excel bubble chart?